Red Oak trees are a good tree for lining long driveways on estates. 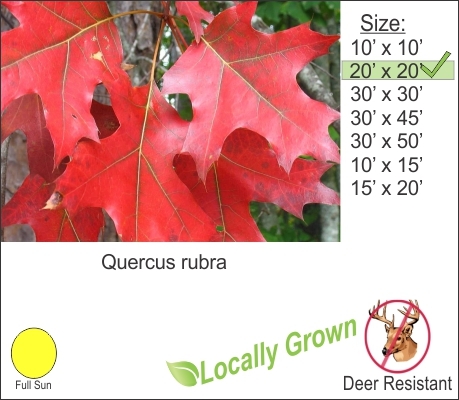 This regal hardy tree has an excellent blazing red autumn color. You can also plant two of these trees at the front entrance of your driveway to highlight the entry to your home. Give these trees some room to grow and keep off the edge of the driveway at least 10 ft. Keep this tree from your home at least 20 ft. off the foundation.